God is too big to fit into one religion – rebuttal. This is an interesting concept. 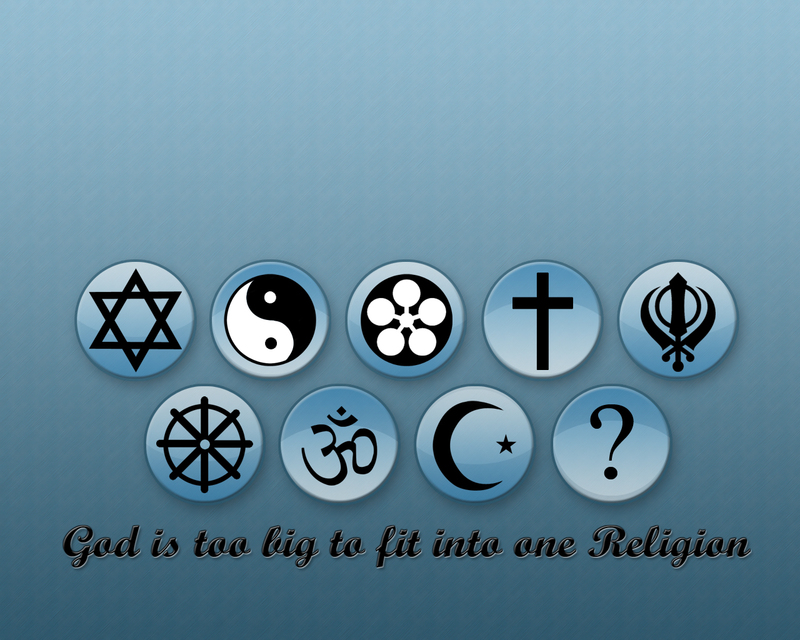 God is too big to fit into one religion. If this were true, it’d means that every religion is wrong about their view, or lack of a view, of the divine (God). This is ultimately saying that God is unknowable from one religion alone, and since the teachings of the various religions contradict each other, combing them all into one God-smoothie doesn’t help matters. Wrong #1 – Christianity, as well as some other religions, claim that God is omnipotent, omnipresent, omniscient, and omnibenevolent. How can God be bigger than that? Is it even possible for a God to exist bigger than a God that is not restricted by time, space, or matter, who is not limited in any ability to do as he wills, he has complete and perfect knowledge of everything, and always acts in ways that are wholly good? I don’t think so. Therefore, it’s completely possible that God can fit into one religion. Next Post Matthew 18:20 – Context. Well if “Car Insurance for women over 80” isn’t a complete and total spam, sure, you can use my posts on your blog. Could you let me know though why this post has received about 5 car insurance comments? This blog is written like a Bushistic “Nailed it!” attitude. The saying means: that since god is so great and omnipresent, and omnipotent he is everything, since everything is from him. So no religion written by man can define him and everything created by man is the spirit…So in this logic, whether it be Christianity or any other religion, it is part of the whole, but does not define the spirit.